The Committee on Public Enterprises (COPE) has decided to produce separate individual reports on its findings on several key public institutions in which serious flaws have come to light. COPE chairman and JVP MP Sunil Handunetti told the Daily News yesterday that these reports would be tabled in Parliament in May. The institutions on which separate reports are to be tabled include the Ceylon Electricity Board (CEB), SriLankan Airlines, Rakna Arakshaka Lanka Limited and the Central Bank. He said probes on these institutions have already commenced, adding that COPE decided it would be more effective if the findings on each of them are presented separately. “We have decided to give our special focus on the institutions that have a strong impact on the economy and the public. The decision to present separate reports on selected institutions is an unprecedented move in our COPE history,” he said. Handunneti said the COPE has so far investigated into activities of 15 public enterprises by summoning the former and current officials in them. He noted the recommendations of the COPE with regard to some key institutions have already been sent to the Attorney General, Cabinet and the Secretary to the Prime Minister for urgent implementation. The MP said several ministry secretaries have also been informed to take remedial steps to correct the identified shortcomings in institutions coming under them. He said the COPE informed the Attorney General that there is a serious question on the legitimacy of the agreement signed between Rakna Lanka and Avant Garde. He noted that the COPE has also decided to appoint a Post-Review Committee to supervise whether the recommendations of the COPE are being implemented or not. “We have given deadlines in our recommendations. As of now the COPE Secretariat is supervising them,” he added. “Nabbing the thieves alone would not help to rebuild these institutions. That is also important, but what is more important is to create the system in a manner that there is no chance for bribery and corruption,” Handunneti said. He pointed out that they have presented a series of proposals to the Committee on Standing Orders in Parliament asking to revise the Standing Orders to give more powers to enable them to take further action with regard to the institutions being summoned before the Committee. “We have also requested to open the COPE activities to the media. We also need to strengthen our relationship with the public. The public should be able to connect with us easily. The COPE now comprises 24 members, but the Standing Orders allow only 12 members. We need to amend the Standing Orders to give legal effect to that revision as well,” he said. 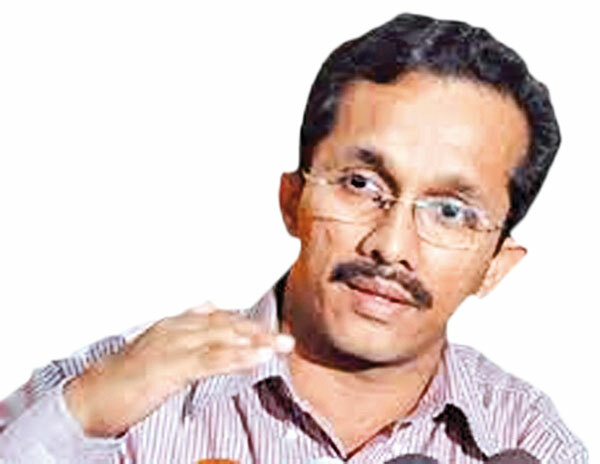 Handunneti said the COPE has already interrogated officials of the CEB, SriLankan Airlines, State Pharmaceuticals Corporation, Agrarian Insurance Board, Rakna Arakshaka Lanka Limited, National Secretariat for Elders, Janatha Estate Development Board, Bank of Ceylon and the Central Bank among others. He said the officials of the Cricket Board, National Water Supply and Drainage Board, Sri Lanka Insurance Corporation and Lankaputhra Bank are to be summoned before the Committee shortly. Handunneti observed there are 427 public enterprises coming under the COPE scrutiny.